This was my longest ride to date. It was mostly the USA and Mexico with a little Canada thrown in there too. 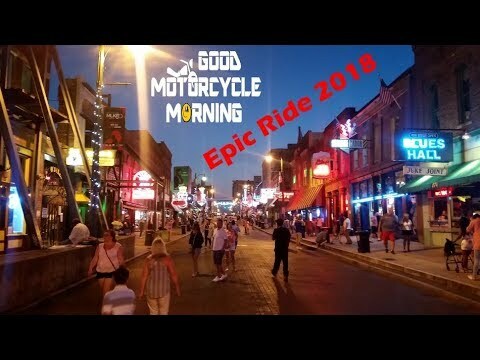 Please like and subscribe, but most of all, comment below and let’s talk about moto travel, martial arts, and more. Good Motorcycle Morning! In this Episode, I had planned to visit Graceland, no go. I was then robbed right outside my hotel. I then get lost in some ribs and alcohol on Beale Street. Yikes! Please show some love to our sponsors! If you know of a company that would be interested in Epic Ride or Epic Journeys, please have them contact us at www.sullivansightworks.com.